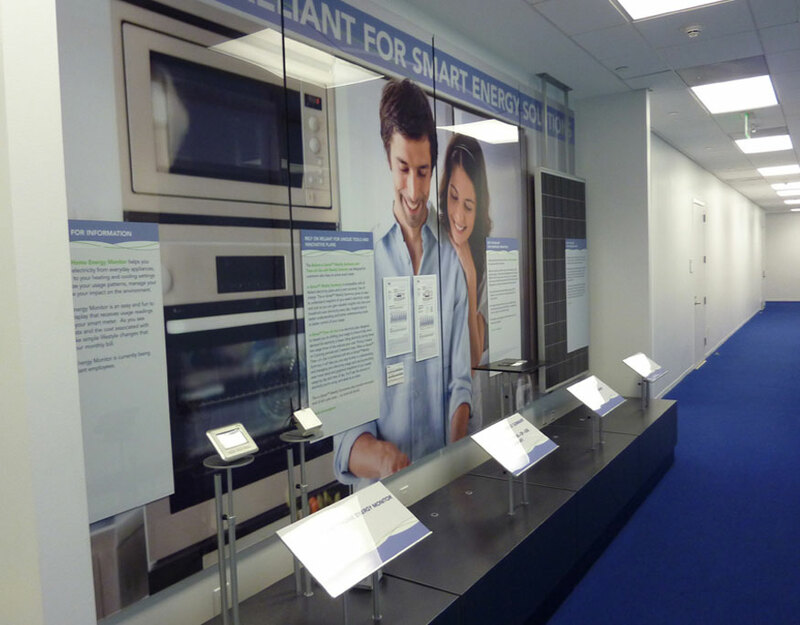 NRG Energy is wholesale power generation company headquartered in Princeton, New Jersey. 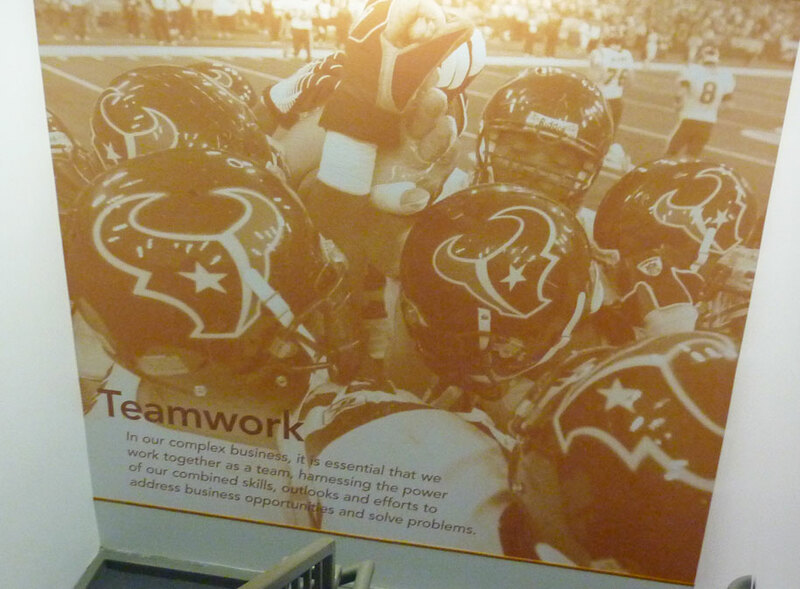 In 2009, NRG purchased Reliant Energy, the second largest retail energy business in Texas and located their Houston headquarters into the Houston Pavilions complex in downtown Houston. 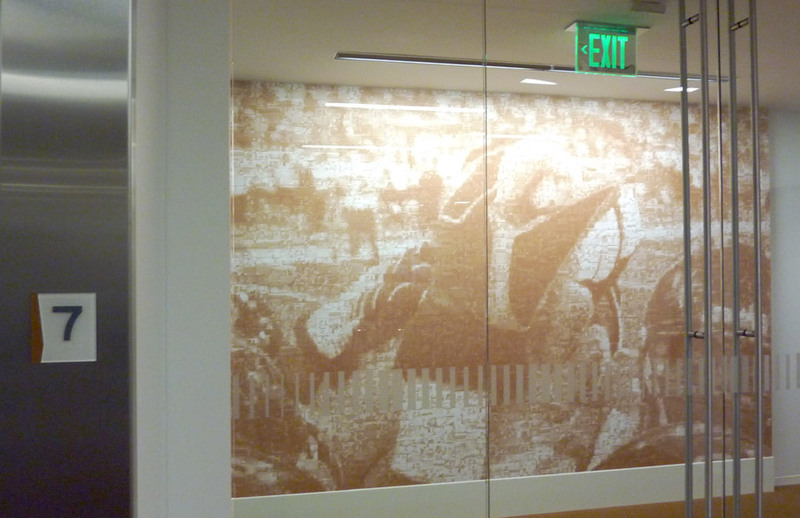 Working in collaboration with the architecture team, D|G Studios developed a thematic interior signage and graphics program to designate spaces such as conference rooms, elevator lobbies, stairwells, and team areas. 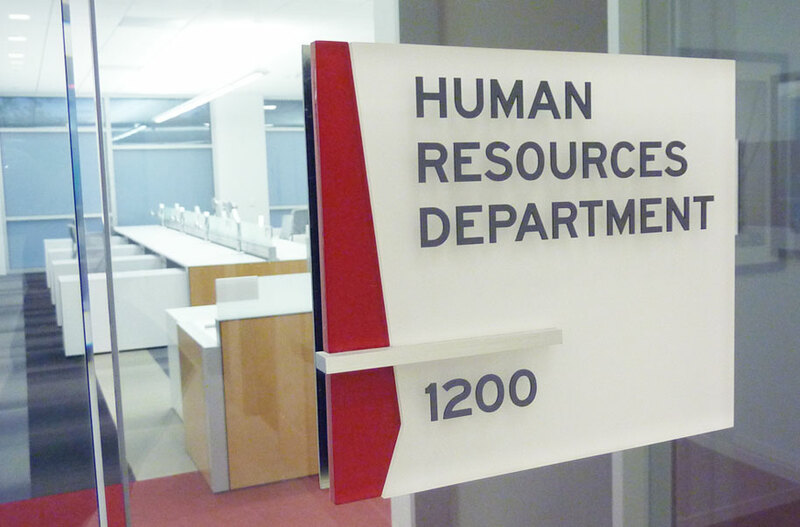 The building's other signage was developed to complement the color palette developed for each floor. 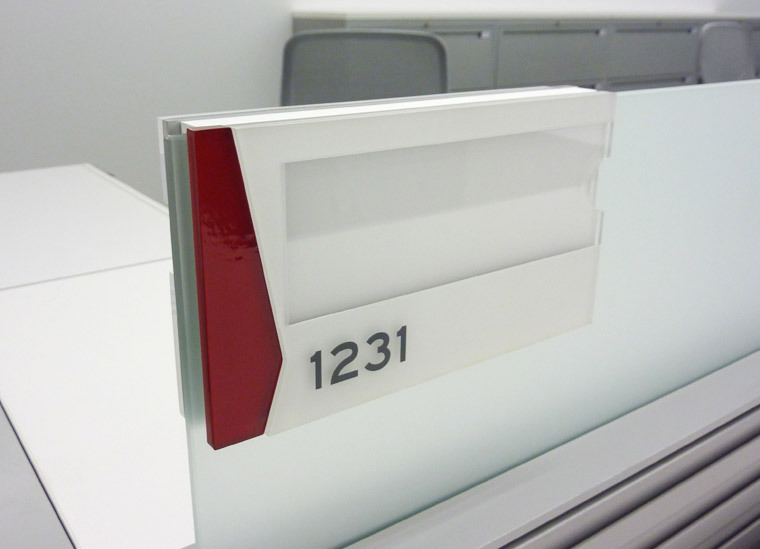 The color coding system serves as branding opportunity and as a wayfinding component aiding both employees and customers. 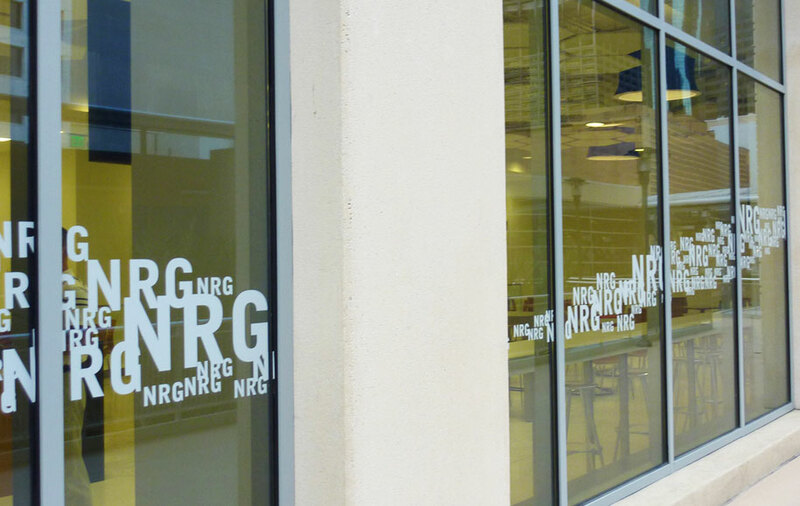 D|G also helped NRG to develop just approximately 1,000 lineal feet of retail graphics to help NRG integrate into the Houston Pavilions retail environment. 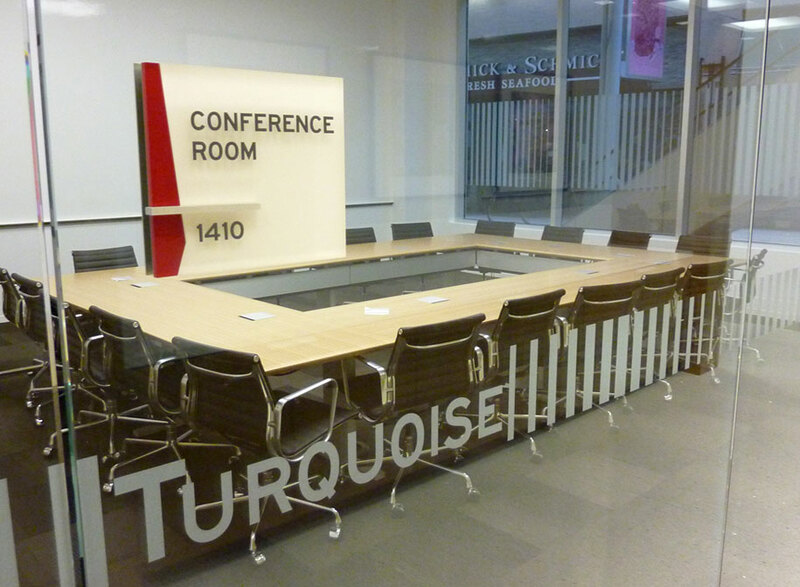 The graphic system helps to screen the employee workspace area and provides them some privacy as well creates a fun, visually interesting, and educational communication tool in the built environment.